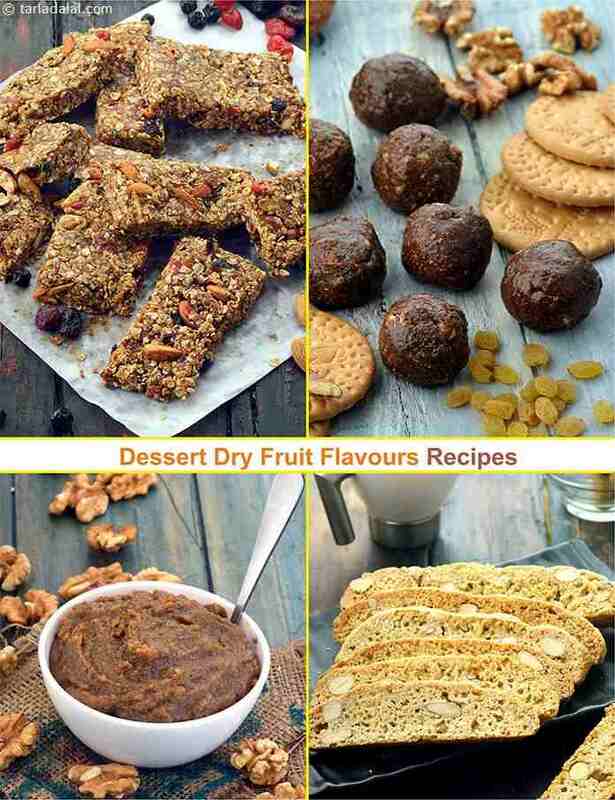 Sweets and desserts using nutrient-dense dry fruits are always are a hit. With their interesting textures and vibrant flavours, dry fruits are a much-loved snack, readily available in most Indian households. A delicious praline made of healthy nuts and seeds, the almond pistachio praline triangles are a great snack for any time of the day. So, making a sweet or dessert out of them is always a joy. Try your hand at delightful options like Badam Barfi , Paneer Pistachio Rolls , etc.. Easy, quick, irresistibly delicious – that describes the Date and Nut Slice best of all. Young and old alike drool over crunchy-munchy mixed nut chikkis! Indeed, who can resist the delectable combination of nuts with sugar in a crispy and handy form? The rich flavour and enticing texture of the Dry Fruit Chikki make you want to keep munching on them, and the temptation is even higher if the chikkis are fresh and homemade. Dough enriched with dark chocolate and condensed milk, interspersed with crunchy pieces of walnuts, and baked to perfection, makes a wonderful chocolate walnut slice that goes well with a cup of tea!